I’m a cattle rancher, a mom, a wife and a journalist. Not a journalist in a traditional sense; I’m a blogger. Bloggers are committed to connecting with readers in a direct, open and casual way—nearly the total opposite of traditional media. My blog is www.KidsCowsandGrass.com,and I blog about my passions: my family, my ranch and the Kansas Flint Hills. Debbie pictured with her family. This year’s All University Open House was held on April 11. Different departments, clubs and organizations from across Kansas State University, set out to attract new students by giving them a taste of Manhattan, Kansas. 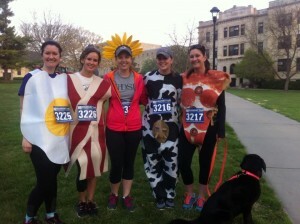 Graduate students and their four-legged friend participated in the Farm to Fork 5K. In the fall of 2012, I transferred from Modesto Junior College in California to Kansas State University. Throughout my time at K-State, the Department of Communications and Agricultural Education has been a huge support system and has been there to guide me through each step of my educational career. 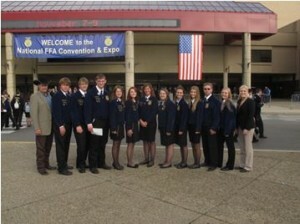 Tara Gildden poses for a picture with her FFA students. 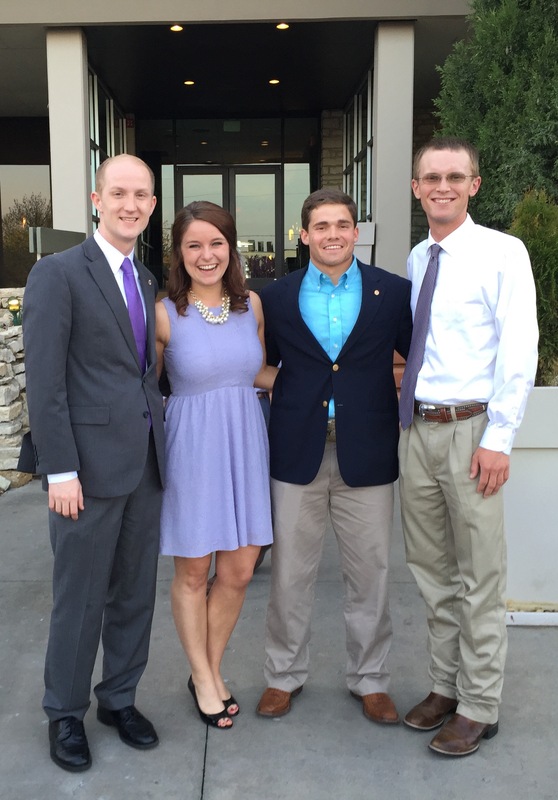 Paige Druffel pictured with the other 2015 Executive Team Ag Ambassadors. When I visited K-State as a senior in high school nearly five years ago, I met with a lot of great people. My favorite part of the day was meeting with College of Agriculture Ambassadors. It was cool to hear their stories about K-State and why they loved the College of Ag so much. 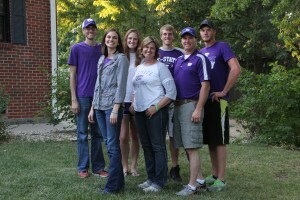 When I enrolled as a student, I knew that I wanted to be an ambassador, so that I too could share my K-State story. 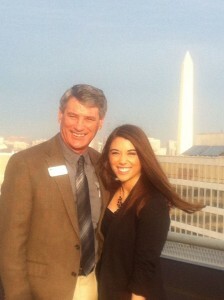 This year for spring break, I visited Washington, D.C., with my dad, Joe Newland, and Kansas Farm Bureau. My dad serves on the KFB Board of Directors for the third district. The trip focused on meeting with our state legislators; however, we did take time to do a little sightseeing. Jackie Newland and her father Joe, pose for a photo with the Washington Memorial in the background.